At Zevin & Rosenbloum, P.C. we are passionate about fairness and justice; this even extends into how we collect pay. We don’t think it’s fair for a personal injury victim—who has already experienced much pain and loss—to give lots of money to an attorney when no monetary gain is promised in return. That is why we work on a contingency fee basis. In short, this means that unless we successfully recover a verdict or settlement for you, you don’t owe us a dime. We care about our clients and this policy ensures we devote a 100% of our time, energy, and skill into your case. If you don’t recover anything, we don’t either. We think that is the kind of integrity you can trust! At our firm, we always strive to place our clients’ best interests before our own; over the years, we have forged many long-lasting relationships with our clients. We have also established an exemplary record of success: we have handled over 15,000 cases successfully and recovered over $150 million in verdicts and settlements on behalf of our clients. We represent anyone from a car accident to a medical malpractice victim! Focus on recovering physically, and we’ll focus on recovering financially! After you have been injured by someone’s negligence, the last thing we think you should be worried about is finances. Focus on recovering physically and let us worry about recovering financially. If you have a personal injury case, we would love to hear about it and see how we can help you today. 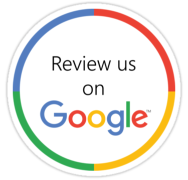 We provide a free evaluation, so don’t hesitate to contact us today! We promise to give you the individualized attention your case deserves.